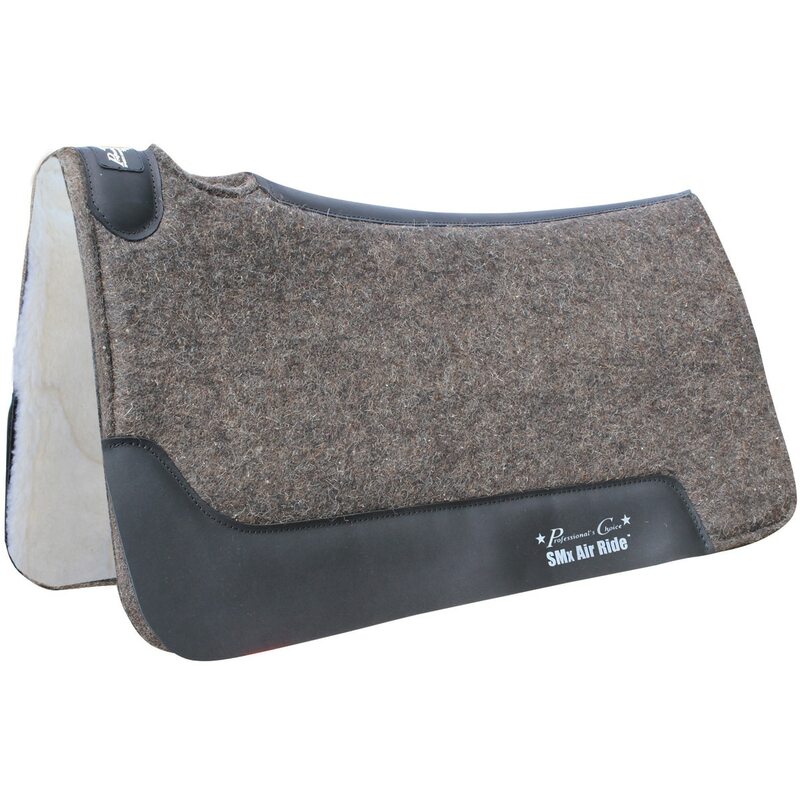 This all in one wool felt pad is made with the horse’s comfort in mind. The patented Air Ride core provides added protection, comfort, and breathability and is topped with high quality, American-made wool felt. 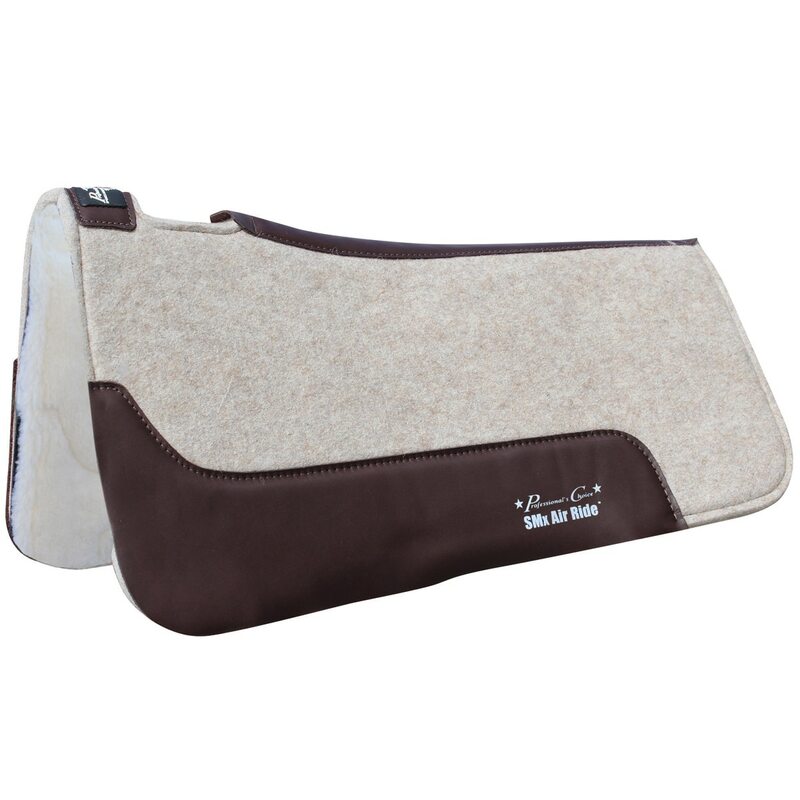 The contoured back allows for the perfect fit while the merino wool bottom keeps your horse cool by wicking sweat and moisture away from their back. Oversized, oil tanned wear leathers offer additional durability. Roper or Barrel Size. Charcoal or Tan.